Today we are delighted to feature a guest post by Hayley from Nappy Cakes & Gifts. You can also find Hayley on Facebook and Twitter. 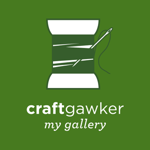 I've loved crafting for as long as I can remember. These days I mainly focus on making nappy cakes for baby showers and expectant parents but I still love trying new crafts and being creative. That's why I was drawn towards paper cutting, I liked the idea of creating something unique with just a sheet of paper, a pencil and a scalpel. I've always wanted to have a go at paper cutting, so I decided to make a spooky decoration with it being so close to Halloween! So I bought a pack of black paper and a scalpel and got to work! 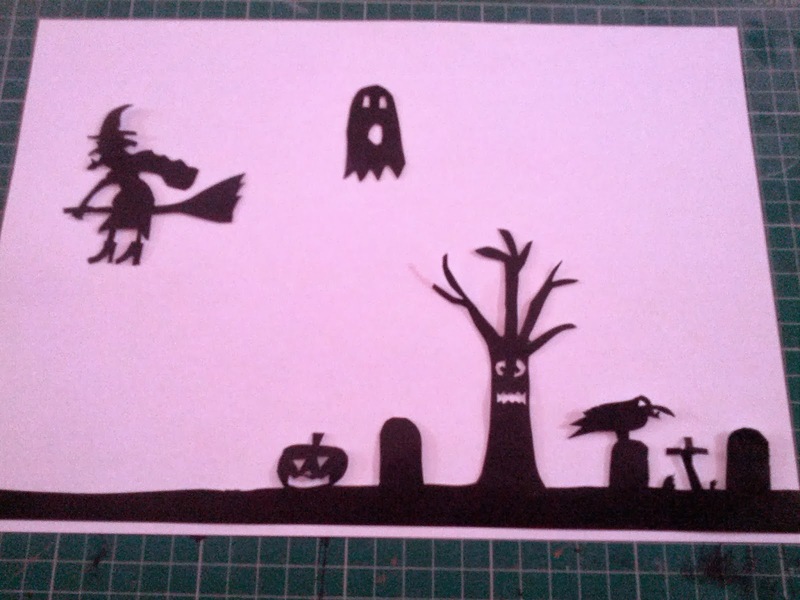 The paper is white on the back, so I drew a graveyard scene, complete with scary tree and crow sitting on a gravestone and carefully cut it out with my scalpel. I've placed my cutting on a piece of white paper so that you can see it clearly. The witch and ghost were cut out separately so that I can move them around before I stick them down. 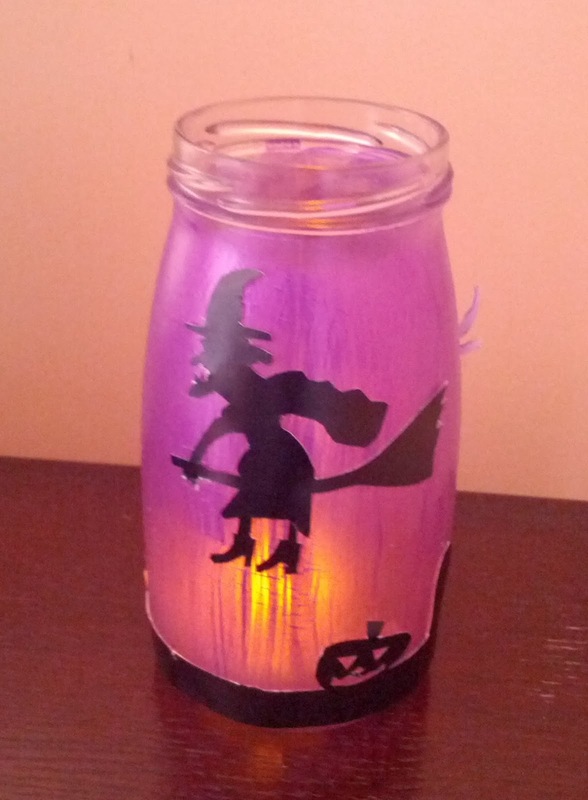 With that done, I took an empty jam jar and painted it with metallic purple paint. 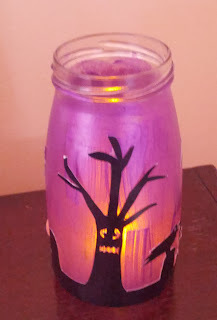 Once it was dry, I took my paper cutting and attached it to the jar with double sided tape. I then took a LED tea light and put it inside the jar to light up my design. I'm really pleased with the result! 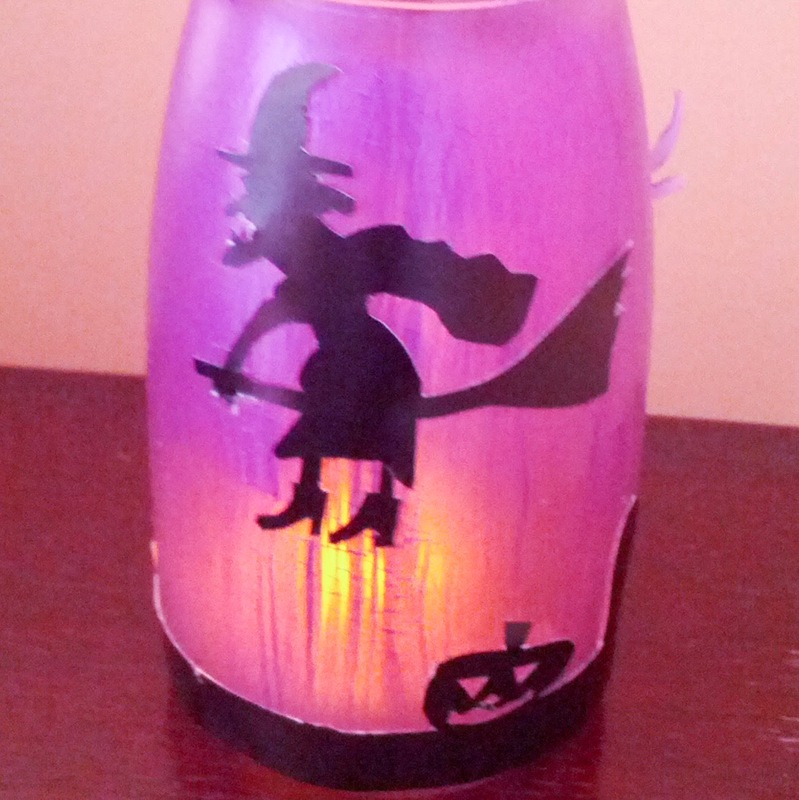 What a fantastic lantern, the black on top of the metallic purple is a great contrast, and the LED tealight a brilliant idea for lighting it up. You are talented!!! Great job! Those turned out great! I like how the light looks through the purple paint. How cool! I love the purple color! 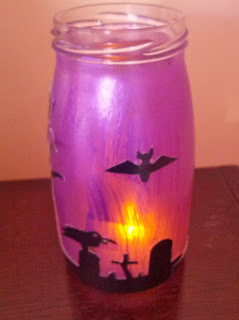 I really need to try painting the inside of my canning jars. I think I'll try a Thanksgiving theme like a cornucopia or scarecrow. Thanks for sharing this project with my readers at Fabulously Frugal Thursday!